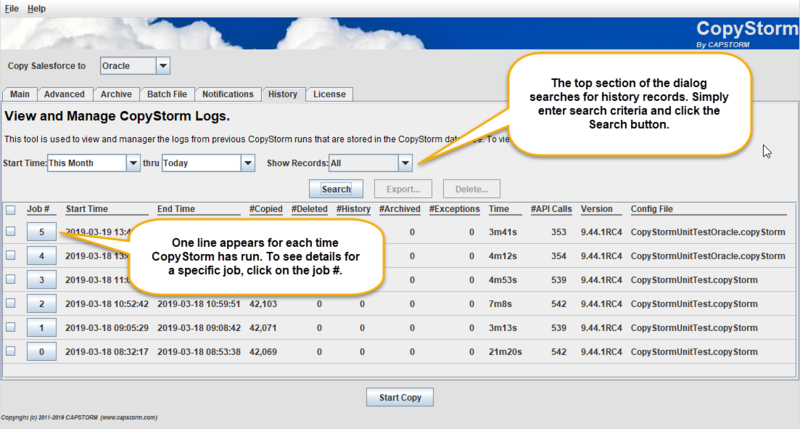 Each time CopyStorm runs it records job information and statistics into a set of history logging tables within the CopyStorm database. 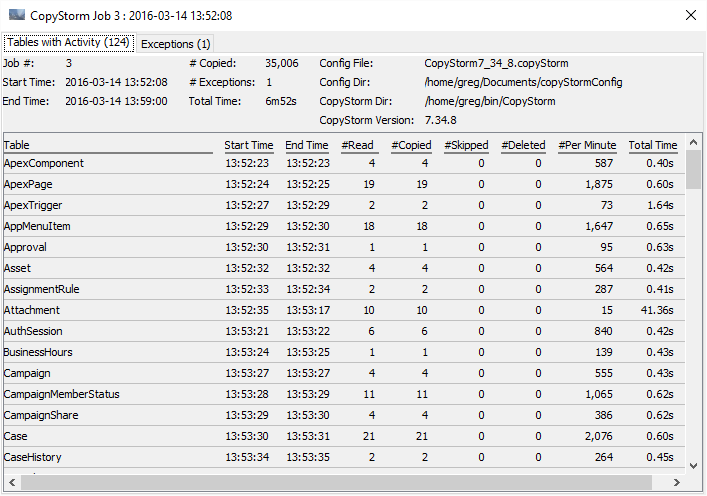 The History Tab supports viewing and exporting CopyStorm job history. The History Tab consists of two sections — a top section used to search for past CopyStorm jobs and a bottom section displaying a one-line status for each job in the database. When a value in the “Job #” column is clicked a dialog appears providing detailed job status. This dialog is similar to the “Copy in Progress” GUI but only contains tables that had activity in the selected job. Any exceptions that occurred during the job will be displayed in the Exceptions tab. 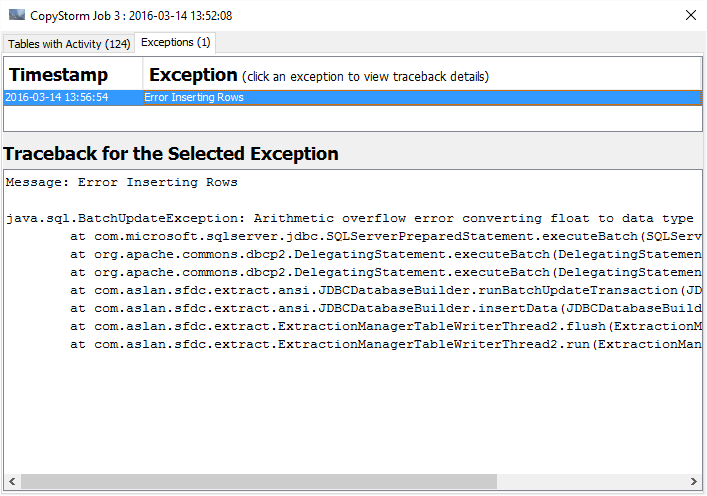 In this example, the job had a single exception. In addition to viewing historical job data, the History Tab can be used to delete job records and to export job data to Excel-compatible CSV files. Click on the check box next to one or more Job #.